These stones were hand picked from the farmlands of rural Angus and Fife. Cut, shaped and polished by hand. 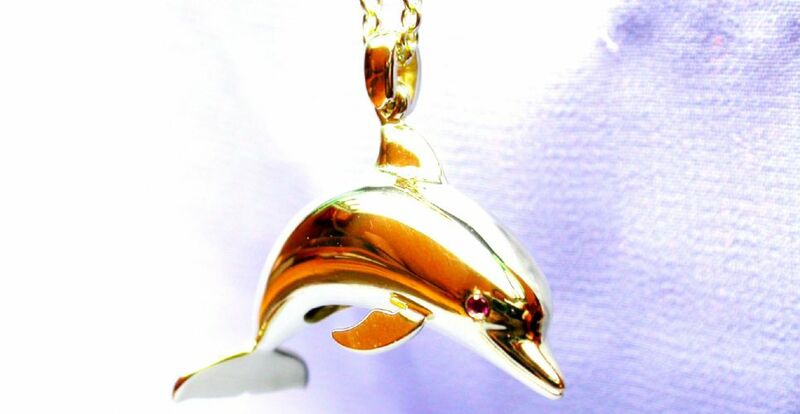 The Sterling Silver Pendants were designed and made in Argyll. A wholly Scottish product . 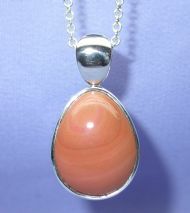 Sterling Silver Pearshape Agate Pendant. Chocolate Brown with Red Banding. Stone size approx 22x17mm. Sold on 18" Sterling Belcher Chain. Sterling Silver Paisley Shaped Agate Pendant. 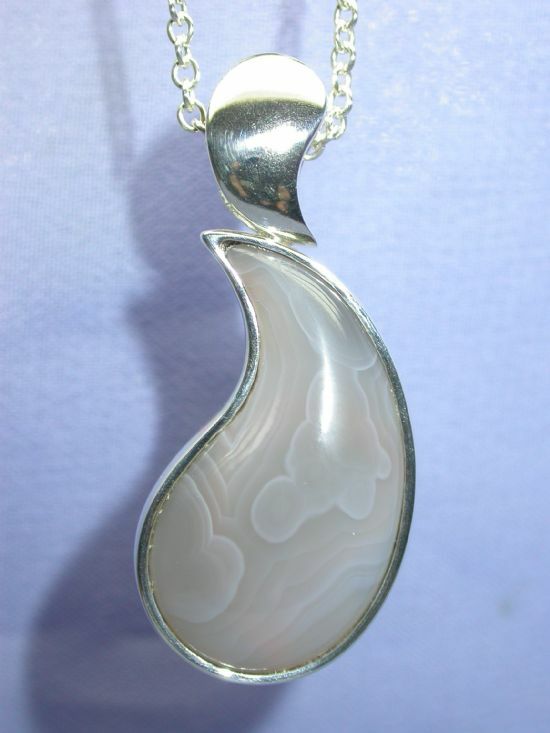 Semi Transparent Grey and White, Beautifully Banded Agate. 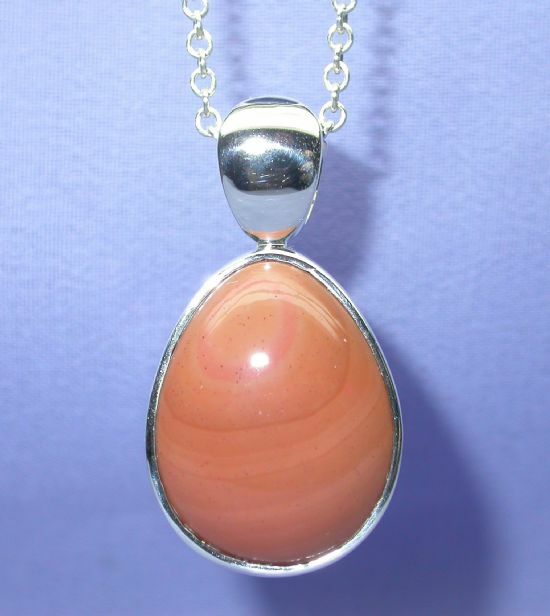 Stone size approx 28x16mm. Cabachon.